Eddie Jones’ two-year contract extension as England head coach means he will now leave the position in 2021. The Australian was due to step down after the 2019 World Cup but will now work alongside his eventual successor, who the Rugby Football Union hope to appoint by 2020, until his departure. 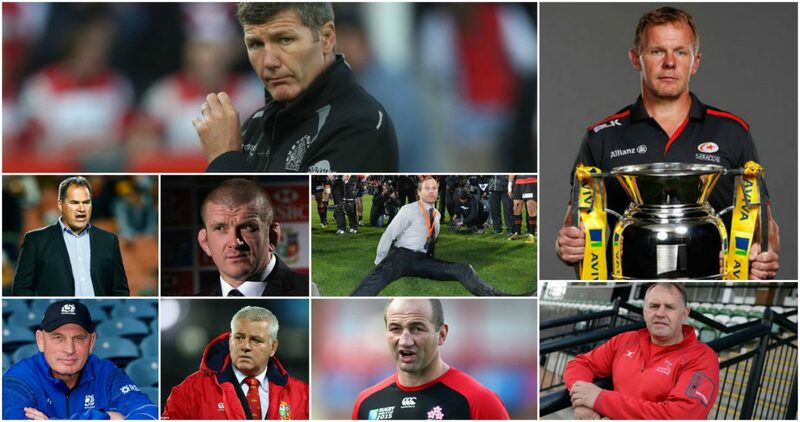 Here, RUCK takes looks at 10 of the candidates to fill the role. The former Ireland international has overseen the greatest period in Saracens’ history. Since taking over at Allianz Park, the Northern Irishman has seen them win three Premiership titles and land the European Champions Cup back-to-back in 2016 and 2017. Additionally, McCall has been instrumental in the growth of current England stars like Owen Farrell and Maro Itoje. With the Bloodgate scandal seeming to derail Richards’ career for a number of years, the former Harlequins and Leicester Tigers Director of Rugby is now working his magic at Newcastle Falcons. Despite limited resources at the club, Richards has already guided the team to seventh in the Premiership and is quickly building a young squad with the talent to challenge every team in the league. Richards is more of an organiser than a hands on coach, but he could be just the sort of person to take over from Eddie Jones and a settled England team come the end of the next World Cup. The 54-year-old Kiwi forged a formidable coaching reputation in his home country, notably during his time in charge of the Hamilton-based Super Rugby side the Chiefs. He is now at the helm with Guinness PRO14 leaders Glasgow and is thought to feature on the Welsh Rugby Union’s current shortlist as a possible successor to Warren Gatland.